New York and New Jersey are getting tough. The neighboring states are planning harmful new vaping legislation, which could hamper the vaping industry by creating difficulties for customers purchasing merchandise. Sen. Kemp Hannon, a long-time advocate for vaping regulation, originated a bill to ban flavored e-liquids. Hannon is counting on a recent wave of anti-vaping propaganda to carry the bill (S-8610) after previously coming up short. “Even though Senator Hannon has introduced some form of flavor ban legislation in several previous sessions with no success, the current moral panic and hysteria surrounding flavored vapor products make this year’s attempt even more concerning,” the Consumer Advocates for Smoke-Free Alternatives Association (CASAA) reported. The Senate Health Committee was scheduled to take the next step Thursday by meeting behind closed doors. 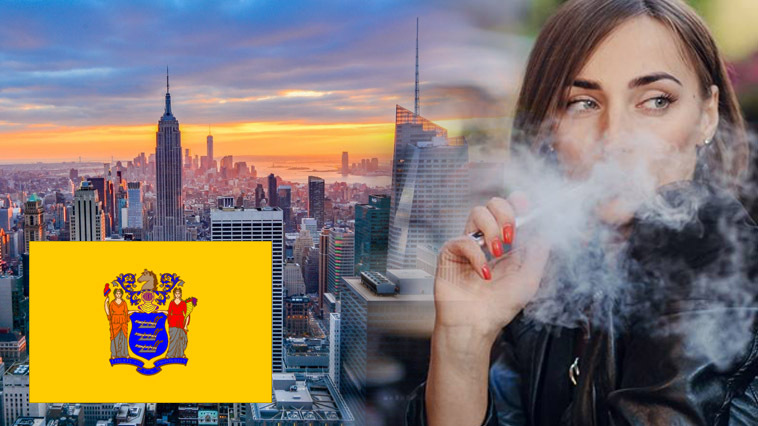 New Jersey’s new Democrat Governor, Phil Murphy, carried on his own fight in his proposed budget, instilling a 75 percent wholesale tax on vapor devices and products. Tobacco products would carry a proposed 68 percent tax. Vaping360.com reported Murphy is still negotiating on the final tax percentage, but regardless of the outcome, a high percentage of the state’s more than 300 vape shops and e-liquid producers could be in jeopardy. Just look at Pennsylvania. In 2016, the Keystone State enacted a 40 percent wholesale tax causing more than 100 shops to go out of business. Want to fight this harmful new vaping legislation? Check out this list of organizations you can join to help protect your right to vape. Then join CASAA’s call to action to make sure your voice is heard!